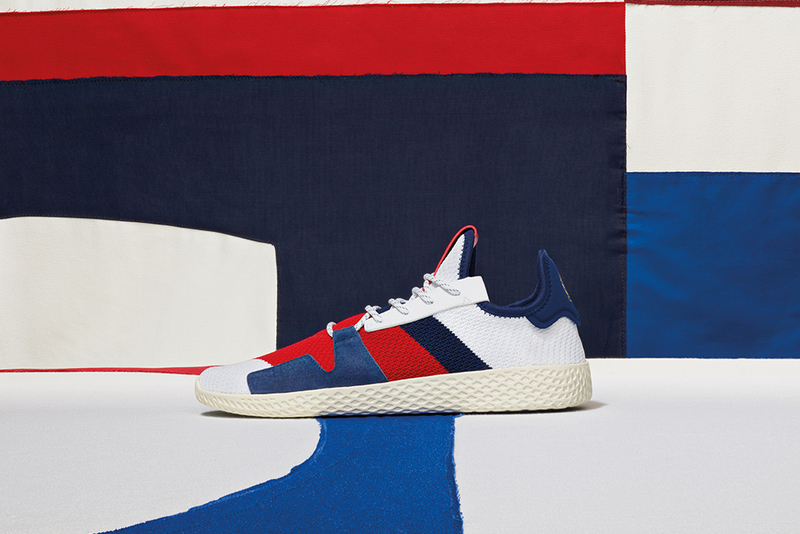 Since 2005, Pharrell Williams has propelled his Billionaire Boys Club brand to new heights through consistently chalking up ideas for new sneakers and apparel respectively. 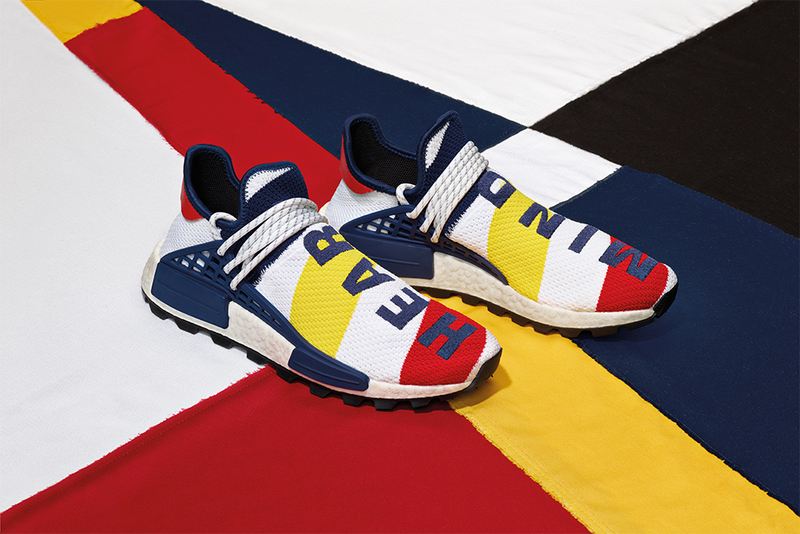 Adapting to the times of the sneaker and fashion culture, his latest hit in footwear has been his collection of Hu NMD which celebrates the hues of humanity. From lifestyle adidas Human Race NMD to hiking style Hu NMD Trail, Pharrell caters to various consumers. 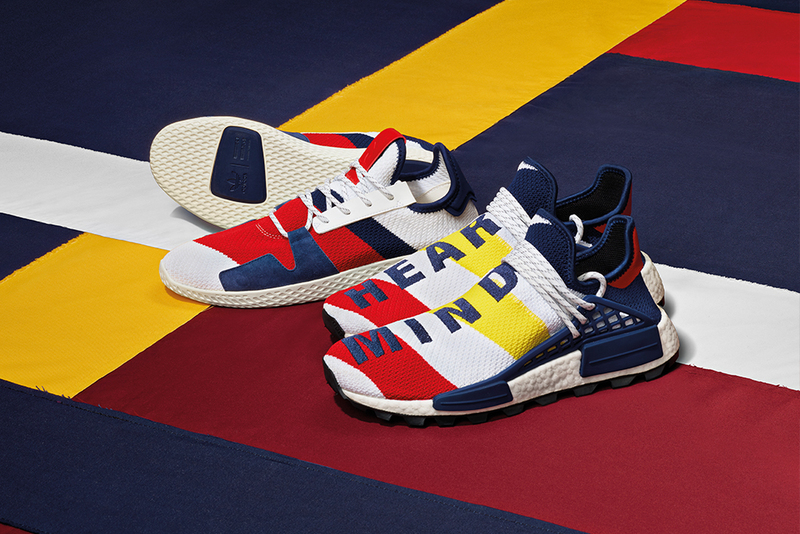 His upcoming release of the Billionaire Boys Club Hu NMD and the Tennis Hu V2 fuses his own entity with the Three Stripes once again. Predominantly sporting a full primeknit upper, a combination of navy, yellow and red stripes inspired by archival collegiate stripe details. Billionaire Boys Club was founded on the idea that wealth is of the heart and mind, not the pocket. This is evident through ‘Mind’ and ‘Heart’ heavily embroidered on the respective uppers on the left and right shoe. A gold trefoil on the leather heel tab finishes of the details of the upper. This is sat on top of a white BOOST midsole for premium cushioning and a rugged outsole to ensure the wearer a lot of traction. Pairing the Hu NMD with the Tennis Hu V2 for the first time similarly features the striped inspired detailing on the flexible knit upper. However, in contrast to the Hu NMD, the Tennis Hu V2 features an added element with blue suede and white leather overlays to anchor the laces. The tongue tab is in red leather with debossed co-branding, while a gold trefoil detailing is stamped on the heel. 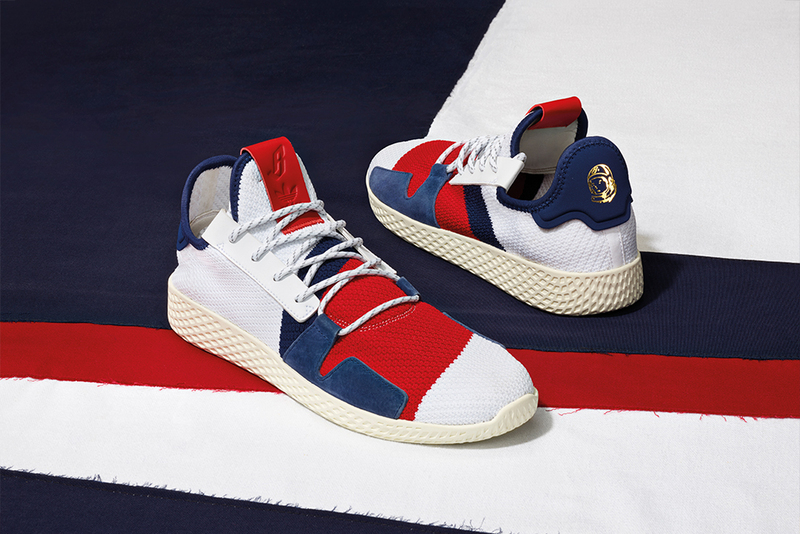 The adidas Originals by BILLIONAIRE BOYS CLUB Tennis Hu V2 will be launching in-store and online on Saturday 20th October (available online from 8:00am BST). 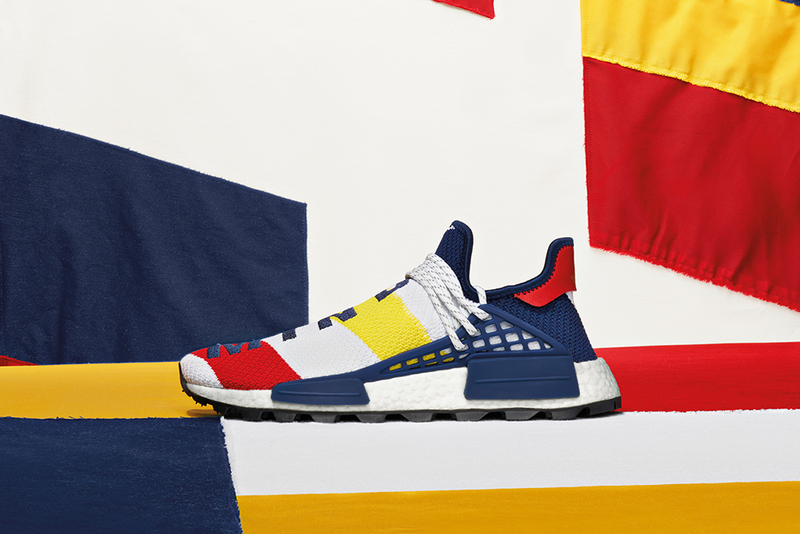 The adidas Originals by BILLIONAIRE BOYS CLUB Hu NMD raffle is now live click here to enter. The raffle is for an IN-STORE ONLY PURCHASE *STRICTLY ONE ENTRY PER PERSON* multiple entries WILL be cancelled. Raffle entrance closes on Thursday 17th October at 5PM BST. Winners will be contacted via email with instructions on how to purchase.